With our exhaustive list of African hotels, lodges, & safari camps, choosing the best one for your trip might seem daunting. That's why our expert team of travel specialists can help you through the process. Once you've figured out your Africa destination, we'll help you figure out the rest. Since the most common Africa tours include safaris, we have compiled a list of the best safari lodges & adventure camps, like Tanzania's Pakulala Safari Camp, Rhino Lodge or Botswana's Gomoti Tented Camp, among scores of other unique hotels. If you're hoping to enjoy a romantic beach getaway, we recommend the decadent Beyond Benguerra Island Lodge or White Pearls Resort on the shores of Mozambique in the turquoise waters of the Indian Ocean. Cabins, 5-star resorts, cottages, and tents are just a few of the options we have to offer. Enjoy a comfortable stay in Addis Ababa in one of two locations at the Jupiter International Hotel. Stay in Cazanchise area or in Bole near the airport and shopping centers. Modern amenities and friendly staff make your stay pleasant in the city. Located in the heart of Addis Ababa, this hotel is central to main attractions such as the National Museum, airport, and main shopping centers. Experience a high level of guest service in this almost 300 room hotel. Stay in this small yet modern hotel located near to the Aksum airport. The 33 bedrooms are well equipped and the restaurant provides full breakfast and buffet style lunch and dinner. Enjoy a stay in this upscale hotel located in Arba Minch and close to many nearby attractions including the Great Rift Valley and Nechisar National Park. The hotels Gamo style thatched roof huts offer twin rooms and suites, first class cuisine, on site spa services, and hospitality that surpasses expectations. Formerly the Avanti Blue Nile Hotel, this comfortable resort offers 135 rooms set with spectacular views overlooking Lake Tana. Settle in to rooms with a view, air-conditioning, and mini-bar and relax during your stay in Gondar. Stay at a boutique 8 room lodge set inside the Bale Mountains National Park. Spot the Ethiopian wolf along with other wildlife species endemic to this unique wilderness, one of the last remaining large tracts of Afro-alpine moorland remaining on the continent. Abbey Manor is a boutique guesthouse located in Cape Town's Oranjezicht at the base of the iconic Table Mountain. Enjoy views of the mountain from your colonial style bedroom, or bask in the sun from the rooftop porch. Cape Cadogan is conveniently located between Table Mountain and the Victoria and Alfred Waterfront, offering guests a luxurious hideaway in the heart of Cape Town. More Quarters is unique in that it affords the privacy of apartment-style living, coupled with the convenience of a luxury hotel's services and amenities. 18 Apartments, including 1-bedroom and 2-bedroom units are each unique in décor and layout. Children of all ages welcome! Set in the wind-free suburb of Bantry Bay, the President Hotel is in the perfect location to explore all that Cape Town has to offer. Rest in one of their 349 rooms, relax by the infinity pool and have a drink at the Senate Bar in this South African hotel. The Pepper Club Luxury Hotel and Spa is located in the lively city center of Cape Town at the base of stately Table Mountain and Lion's Head. Each spacious room features an extra-long king size bed with beautiful linens, a dressing table, flat screen TV, a desk with two chairs, and a comfortable easy chair. Located along the eastern slopes of Table Mountain, the Vineyard Hotel offers guests a chance to escape the bustle of Cape Town while still being a short car ride away from the Waterfront. Chobe Game Lodge, the only permanent game lodge located within Chobe National Park offers exploration both by land and water. The rooms are furnished with hand crafted Rhodesian teak furniture and African carvings and paintings. Guests travel here to experience a unique Botswana safari, and staying at the Chobe Game Lodge facilitates that experience. Perched up on the edge of the valley, the view of the Chobe River and the open floodplains from the vantage of your private room and plunge pool is unrivalled in the area. On a hilltop overlooking the Chobe River, offering unparalleled panoramic views across the islands and floodplains, sits Sanctuary's Chobe Chilwero. Guests relax in a split-level swimming pool, unwind with a spa treatment, enjoy gourmet meals, and experience the best game activities northern Botswana has to offer during a stay at this thoughtfully designed boutique lodge. Tucked away in and amongst the sandstone hills, each tent in the Damaraland Adventurer Camp is rather roomy with wooden beds with mattresses decked in cotton linen and comfy duvets. En-suite bathrooms with toilet and shower are located at the back of each tent. The tents are pitched on timber platforms which allow for a small viewing deck on your Namibia tour. The common area of camp center around the camp fire, where guest eat meals and tell stories into late into the night. This community run, eco-friendly Camp has fused new technology with ancient practices in an incredibly inventive manner. Accommodations consist of 10 adobe-styled, thatched units each raised on individual wooden decking, part of which extends out to form a large viewing deck with magnificent vistas on your Africa tour. Located on Durban's Golden Mile, Protea Hotel Edward consists of 101 recently refurbished rooms. Rooms are appointed with comfortable beds, a desk, en suite bathrooms, and a mini electronic safe. Enjoy your stay in this Durban hotel while traveling through South Africa. Along the tropical belt of KwaZulu-Natal, nestled amongst the palm and giant Milkwood trees lies Teremok Marine, a luxurious five-star boutique lodge whose name translates from the Russian word for "little hideaway". The Benjamin Hotel is on Florida Road in Durban, South Africa. It is very close to main attractions like the Durban Country Club, Mitchells Park Zoo, uShaka Marine World and the beach. With 43 double rooms, a pool, conference areas and bar area this hotel is a great place to stay to experience South Africa. Okaukuejo Resort is located just 17km from the southern entrance of Etosha National Park, offering a comfortable and convenient home base for exploring Namibia's premier wildlife park. Set on the private Ongave Game Reserve, the Ongava Tented Camp offers guests eight large Meru-style safari tents all of which have, private verandas, and open air showers. Ongava is one of the few private game reserves in southern Africa where guests have the chance to see both black and white rhino while on an African safari. Safarihoek Game Lodge is nestled on a hillside overlooking one of Etosha National Park's large watering holes. The lodge is spacious and elegant, ideally situated for game viewing in Namibia's most wildlife-rich National Park. Private gardens, a large pool, a heated jacuzzi and an outdoor veranda are part of what you can expect at the Avondrood Guest House. This Victorian Cape-Dutch style home has eight suite options and a spacious lounge with a fireplace. Enjoy breakfast, free WiFi and a collection of books and magazines during your stay. Babylonstoren is one of the oldest Cape Dutch farms. It has fruit and vegetable garden of beauty and diversity, unique accommodation, fine food and a sense of well being. Combing the simplicity of farm buildings with comfortable style. Franschhoek Country House & Villas is a 5 star hotel accommodation in the heart of the Franschhoek valley, complemented by the well-known Monneaux Restaurant and a number of luxurious guest services on offer in which to indulge and enjoy. Leeu House is a country guesthouse offering luxury accommodation and attentive service in an attractive setting along Franschhoek’s main street. Explore the breathtaking Gonarezhou National Park while staying at the upscale Chilo Gorge Safari Lodge. Seven tented platform camps form the basis for this remote retreat and allows unimaginable access to a park that is still largely undeveloped and wild backing up to one of the largest stretches of unspoilt wilderness in all of Africa. This lodge is situated close to the airport near Azezo and offers its guests stunning scenery and simplistically beautiful design in which to relax. The lodge's 20 bungalows combine elegance with comfort in a peaceful retreat during your stay in Gondar. Enjoy world-class safari drives in the Sabi Sand Private Reserve of Kruger National Park. Harry Kirkman's original homestead has been beautifully restored into &Beyond Kirkman's Kamp, with 18 luxury cottages overlooking the bushvled and sprawling lawns. &Beyond Ngala Safari Lodge is located within the private Ngala Private Reserve of Kruger National Park. This colonial-style luxury safari lodge features old-world accommodation nestled among a living canopy of mopane and tamboti trees. Arathusa Safari Lodge is a family retreat that allows you to be experience a traditional safari. It is located in the northern part of the Sabi Sand Reserve, an area that has a reputable history of having a wonderful concentration of wildlife. With over 2000 acres of land, Big Five sightings and a swimming pool this lodge is a perfect getaway. Chapungu Tented Camp is a traditional South African safari lodge located just outside Kruger National Park in the private Thornybush Game Reserve. Enjoy comfortable accommodations after an exciting day of safari activities. Singita Ebony Lodge, located on the Sand River, is a fresh and contemporary interpretation of the classic safari lodge, combining tented camp and bush lodge style. The Kapama River Lodge is a safari accommodation in the Kapama Private Game Reserve. It sits along the Kapama River, has great views of the Drakensberg mountains and is the largest luxury game lodge in the Greater Kruger National Park. Moditlo River Lodge is located within the heart of the Blue Canyon Conservancy in Greater Kruger National Park's Moditlo Private Game Reserve. The Reserve is known for its large populations of wildlife and offers memorable game viewing opportunities to its guests. The Simbambili Game Lodge offers guests a prime location on the Manyeleti River in which to experience Kruger National Park from while on safari. Eight Moroccan styled suites provide a sense of privacy and intimacy within the park gates. Take in the views of the extensive savannah grassland from your own terrace with sala, unique en-suite bathroom, or private plunge pool. Simbavati Hilltop Lodge is located within the Greater Kruger National Park's Timbavati Private Game Reserve. Situated on a hill overlooking the Nhlaralumi River and the distant foothills of the Drakensberg Mountain Range, this luxury safari lodge ensures guests enjoy utmost comfort while on safari. Thornybush Game Lodge features upscale, luxurious accommodation within the private Thornybush Game Reserve. Thornybush is a premier private game reserve within the Greater Kruger National Park, and guests are treated to superb wildlife viewing while on safari. Nestled between mountain and sea, the Grootbos Private Nature Reserve is a five-star eco-paradise showcasing the incredible Flora and Marine life of the Southern Tip of Africa. 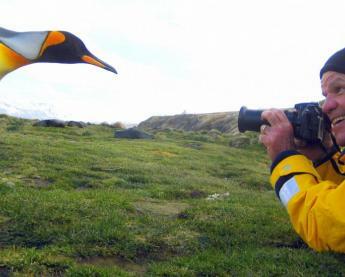 Home of the "Marine Big 5" - whales, sharks, dolphins, seals and penguins; and with unparalleled floral diversity. Harbour House Hotel is in the heart of the Old Harbour area in Hermanus, South Africa. It is within walking distance of whale watching sites, markets, restaurants, street cafes and an abundance of natural beauty. It offers a range of rooms, a pool and a beautiful lookout terrace for you enjoyment. Rhino Ridge Safari Lodge is situated on the western boundary in the first private concession within Africa’s oldest proclaimed Game Reserve Hluhluwe iMfolozi Park, Northern KwaZulu Natal, South Africa. Experience the wildlife of Hwange National Park with a stay at the remote Bomani while on your Zimbabwe trip. This Hwange safari experience is located on a private 5,000 acre reserve just 15 minutes from the entrance to the park and offers breathtaking views of the Ngamo Forest plains. Get a more rustic and traditional safari experience in a remote and wild section of Hwange National Park. For more intrepid travelers, this small tented camp overlooks a waterhole in an area typically frequented only by park rangers. The Camp offers unique opportunities such as experimental mountain biking and an up-close underground blind. Located near the best wildlife viewing section of western Hwange National Park, Linkwasha Camp is on a private concession near the Ngamo Plains which attracts a wide range of wildlife in the dry season. Situated within Hwange National Park, the Hide hosts up to 20 guests near a very popular waterhole. Spacious tents and outdoor bathrooms maximize your wildlife viewing opportunities, along with a viewing room and open lounge from which you can watch wildlife into the late hours of the evening. Nestled into the wetlands of the Jao Concession, Jacana Camp sits perched atop a delta island. Five Meru-style tents, each on a deck overlooking the floodplains, has an en-suite bathroom with flush toilet and shower. The outside bathroom is surrounded but roofless, allowing for showers by starlight. A copper tub sits on the private deck overlooking the delta for guests to relax and experience a back to nature soak. Enjoy the panoramic views from the elevated dining room, relax with a book in one of the common lounges, or take a dip in the camps plunge pool during your Botswana Tour. Located on a large island in the heart of the Okavango, Jao Camp is a luxurious oasis of comfort. Jao's ideal position in Botswana allows guests to enjoy both land and water experiences depending on the time of year. The luxury Tubu Tree Camp is located on Hunda Island within the Okavango Delta's private Jao Reserve. The camp is built in traditional style and well-positioned for excellent game viewing and adventure along the Delta. Stay at Eco-Omo Safari Lodge in the Omo Valley on your Ethiopia tour. Situated in Jinka, this unique lodge borders the Neri River and is en route to Mago and Omo National Parks in the heart of the Omo Valley. Twenty permanent safari-style tents offer en-suite bathroom facilities and mosquito netting. Protea Hotel Balalaika Sandton is near to the airports in the area and is in the heart of the business and entertainment district. It features two sections, the Balalaika and the Crown Court. It's 330 guest rooms are air conditioned and decorated with a classic style. The hotel also offers two dining options, a fitness center and a business center. The Protea Hotel OR Tambo Airport is in Johannesburg, South Africa. It is just minutes away from the airport and has an aviation theme. There are 3 room types, a fitness center, a swimming pool, a restaurant and you can watch planes take off and land from your window. Stay in traditional safari tents in the heart of Busanga Plains, the grassy seasonal floodplains of northern Kafue National Park. Located in the shade of a grove of fig trees, Busanga Bush Camp offers a traditional safari experience in this unique environment. Travel to this seasonal safari camp located on a small palm tree island in the Busanga Plains, the renowned wetland area deep in the heart of Kafue National Park. This intimate and remote camp offers four upscale safari tents an exciting 6 hour drive through the bush of Kafue National Park. Set overlooking the banks of the Shishamba River, this rustic and charming safari camp offers a more intimate and remote wildlife viewing experience. Stay in raised platforms and canvas-walled tents and watch wildlife that are attracted to the active lagoon. Stay in this camp located near the entrance to Kafue National Park and overlooking the Kafue River. Open year-round, this centrally located camp is a great base for exploring one of the largest National Parks and wilderness areas in all of Africa. Stay in the center of the Busanga Plains in northern Kafue National Park. This safari camp offers six raised safari tents located near a permanent watering hole which is home to many large prides of lion. The fig trees near camp also provide shade and great bird spotting opportunities. The Khwai Adventurer tented camp is fully serviced and allows a sublime 'back to nature' experience. Enjoy meals from the camp fire, tell stories under the stars, and enjoy the diverse game of the area while on an African safari adventure. The Khwai Discoverers Camp is a permanent camp set is the Khwai Concession of Botswana. The five tents are airy and beautifully designed to recreate the lodging of the early explorers. Enjoy the great outdoors while relaxing in the teak directors chairs just outside your tent. Discoverer camps are precisely outfitted with comfortable interiors yet aim to bring the guest closer to nature, creating a memorable wilderness experience while on an Africa Safari. Machaba Camp is situated in the game rich Khwai area. The Khwai Concession is a 180 000 hectare reserve situated in the north eastern Okavango adjacent to the Moremi Game Reserve. Kanta Lodge is a comfortable new lodge in the remote Omo Valley Region of Ethiopia. Enjoy our stay in the Konso Village in comfortable tukuls with a beautiful garden and comfortable common areas to allow for rest after a full day of travel in the Omo Valley. Camp Kuzuma is a private and exclusive safari lodge situated in the pristine Kazuma Forest reserve. This bush lodge is well appointed in the elephant abundant Chobe region of Botswana. The only permanent luxury lodge in Lake Manyara National Park, Lake Manyara Tree Lodge is renowned for its romantic stilted tree house suites that are shaded by a mahogany forest. After an exhilarating game drive, guests stop for sundowners on the lakeshore below the Great Rift Valley wall. The lodge invites the incredible beauty of the African bush in expanses of windows and doors mean that you have nature right around you. Migunga Forest Camp is the perfect lodging while you explore Lake Manyara National Park. Twenty-one tents make up this lovely camp, offering village visits, traditional safari, early morning game walks, and interactions with local Maasai Pastoralists. 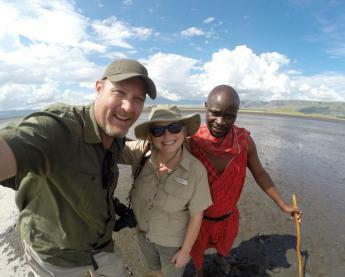 Lake Natron Halisi Camp offer guests a back-to-nature camp experience, where the focus is on the natural surroundings more than creature comforts. This environmentally conscious camp has no running water, but offers bush showers and boiled water upon request. There is no electricity, however solar energy powers the camp. Located just outside of town and on the edge of the Lasta Mountain Range, this hotel rewards its guests with one of the best sunset views. Displaying art reflective of the rock-hewn churches, this hotel is one of the most picturesque accommodations in all of Lalibela. Come stay in this quaint "mini-village" located within walking distance of most of the main attractions in Lalibela, including the Church of St. George. The comfortable and spacious rooms are separate units modeled after traditional African huts. DumaTau is located in the private Linyanti Wildlife Reserve along the western boundary of Chobe National Park. This luxury tented accommodation offers guests a tranquil stay along a riverbank, ideal for both game viewing and relaxation. King's Pool, a stylish camp overlooking the oxbow-shaped King's Pool Lagoon, is named for Scandinavian royalty and offers its location as a historic safari base in the middle of Africa's highest density of elephants. Luxurious, spacious, and beautiful, King's Pool grants its guests a once-in-a-lifetime experience. Situated in the Linyanti Concession near Chobe National Park, this pre-erected camp gives travelers access to the region's waterways, which attract herds of wildlife year round, as well as riverine, savannah, forest, and plains habitats. The camp offers great location for your Africa safari experience. The Linyanti Discoverers Camp is a permanent camp set in the Linyanti Concession of northern Botswana. The six tents are designed beautifully to recreate the lodging of the early explorers. Discoverer camps are specifically outfitted with comfortable interiors yet aim to bring the guest closer to nature, creating a memorable wilderness experience on your Botswana Tour. Located within the Okavango Delta's private Linyanti Concession, Linyanti Tented Camp offers a comfortable base from which to explore the game-rich Okavango Delta. The Protea Hotel Livingstone is located near the famous Victoria Falls in Zambia, Africa. It offers 80 deluxe rooms with comforts that include free WiFi, deluxe bedding and flat screen TVs. Swim in the pool or enjoy nearby white-water rafting, bungee jumping, a tour of the falls and more during your stay in Livingstone. The David Livingstone Safari Lodge & Spa is on the Zambezi River, in close proximity to Victoria Falls. The lodge offers a variety of activities including tours to the falls, fishing and viewing animals. Their 77 rooms offer a comfortable and convenient setting for you during your tour. Located in one of the crooks of the Zambezi River travelers find a luxurious respite in The River Club. Ten luxury chalets are spread out amid the riverine undergrowth, offering luxury bedrooms with en-suite bathrooms. An old 1940 homestead, this Livingstone hotel offers a well-appointed lounge, large dining room, notable library, a wide veranda on which breakfasts and teas are enjoyed, and an infinity pool which offers spectacular views. The Royal Livingstone Hotel is on the banks of the Zambezi River. The luxury rooms and suites sit along the river and overlook Victoria Falls. The hotel offers fine dining options, adventures through the area and spa treatments to make your stay a memorable one. Twelve tented rooms along the Zambezi River, just a few kilometers from the famous Victoria Falls, make up the Toka Leya Camp. Enjoy the stylish African decor of the climate controlled, en-suite tents. The camps common areas are comprised of a dining room, lounge, bar, several decks, and an infinity pool, all of which overlook the mighty Zambezi. On the banks of the Zambezi River near Victoria Falls, the Tongabezi Lodge delights guests with an eco-minded luxury experience. Privately owned and run, this lodge offers warm hospitality intertwined with the highest level of service. Each house and cottage in the complex has its own valet who is at the guest's disposal and who acts as a private concierge for the duration of stay. Stay in this upscale and intimate safari camp located along the banks of the Zambezi River in Lower Zambezi National Park. Eight spacious Bedouin style safari tents offer chic and sophisticated attention to detail and afford guests the utmost comfort. The lap pool, dining area and bar also allow for welcome retreats during the heat of the day. African safari-styled tents are nestled in between Marula, Knobthorn Acacia and Sausage Trees and overlook a dry river bed, the bush and the Northern Drakensberg Mountains. Each tent is spacious and built in an elevated position with it’s own special view. Spend your time in Lusaka, Zambia at the artsy boutique hotel Latitude 15 degrees. Enjoy attentive service, a sophisticated atmosphere, and local Zambian cuisine with international flair. All rooms are spacious, well-appointed and furnished with local handicrafts that showcase the skill of the Zambian people. Stay in an upscale hotel located near the city center in Lusaka, Zambia. From the superior rooms through the Presidential Suite, this comfortable and elegant hotel is sure to have the level of comfort you desire. Enjoy any of the three restaurant venues, the swimming pool, sauna, spa and squash courts during your leisure time in this Lusaka hotel. Set in the more remote section of Mana Pools National Park near Chitake Springs, Kanga Camp offers twelve tented camps and up close views to a very active waterhole that attracts wildlife all year round. Experience the best of both inland and river excursions in the legendary Mana Pools National Park with a stay at Zambezi Expeditions Camp. This mobile tented camp offers luxury living next to the shores of the Zambezi River. Norma Jeane's Lakeview Resort offers colonial style accommodations that overlook Lake Mutrikwi in Masvingo, Zimbabwe. There are 21 rooms that range from family lodges to budget rooms. There are many different activities, like fishing, boat cruises and bird watching that you can partake in to make your stay fun filled. Stay at the unique and quirky safari lodges set amidst the boulders of the UNESCO World Heritage site of Matobo Hills. This family run camp is tucked away in an ancient bushman's shelter and offers upscale amenities as one of the most premier lodges in the region. &Beyond Nxabega Okavango Tented Camp - the remote and wild game viewing experience of Botswana’s lush grasslands offsets the intricate detail of the hidden world of the Delta’s waterways, while the simplicity of canvas merges with the elegance of an exclusive club. A classic safari experience awaits you at Camp Moremi. Located on Botswana's Moremi Game Reserve, there are many opportunities to search for wildlife and to enjoy views of the lagoon from one of the 12 tents. The ten tented rooms of Xigera Camp offer travelers an ideal location from which to explore the Okavango Delta. En-suite facilities and an outdoor shower add to the luxurious feel of this camp. The entire camp is interconnected with raised wooden walkways and each tent has a private deck overlooking the seasonal floodplains and waterholes. A thatched lounge, pub and dining area overlook a permanently flowing channel, and a traditional boma offers an alternative dining area under the African stars. There is no better way to experience the Moremi Game Reserve in the Okavango Delta than to travel through it in mokoro by day, and camp out on a vegetated island at night, all essential elements of Xigera Mokoro Trails Camp. The main areas of camp surrounds a camp fire and include a covered kitchen area, a dining table and bar area, and a separate bathroom facility. This Botswana safari experience is aimed at exposing the permanently flooded inner Delta via its serene waterways and islands of trees and bush. Situated on the graceful slopes of Mt. Kilimanjaro, Bristol Cottages offers simple, clean, and superior service to guests on a Tanzania tour. Located just a few minutes away from Moshi's center, Bristol Cottages serves as the perfect location for climbers to begin their ascent to the rooftop of Africa. Located near central Moshi, the Kilimanjaro Wonders hotel provides a comfortable base for an African safari or climb to Mount Kilimanjaro. The beautiful Sal Salinero Hotel was originally established in 2004 as a small luxury villa, but increasing demand led to its expansion. Set on the sloping hills of Mt. Kilimanjaro, Sal Salinero now operates as a 30-room unit which offers personalized service to its guests around the clock. Near the main descent route for climbing Mount Kilimanjaro, Kilimanjaro Halisi Retreat is located on a 350 acre organic coffee estate. It offers nature walks, coffee and tea tours, a swim in the river and views of the mountain. There are three buildings that are solar powered and the staff is always there to serve you. Twenty-one luxurious suites have been sensitively designed to take advantage of their beautiful natural setting along the Indian Ocean, while protecting the fragile eco-systems beneath them at White Pearl Resort. Indulge in a spa treatment, watch the playful dolphins in the cove during a stroll along the pristine beach, go horseback riding along the coastal trails or just relax in a suite that was designed to create an intimate experience. However you spend your time, the White Pearls resort is sure to be a highlight of any luxury Africa tour. Located deep within Namibia's Namib Desert, the &Beyond Sossusvlei Desert Lodge offers guests a luxurious place to call home while on safari. Enjoy quad-biking and guided walking tours into Sossusvlei, or just relax in your private suite at this world-class lodge. Kulala Adventurers Camp is set on the Kulala Wilderness Reserve amongst the red sand dunes of the Sossusvlei area. This intimate 5 test camp offer dome tents on wooden platforms with shade flies, en-suite facilities, and eco soaps are provided. Tents include cots with pure cotton linens, pillows, and cozy duvets on your Africa safari. Accommodations are made up of 23 thatched and canvas 'kulalas' each of which is built on a wooden platform creating a private terrace and has a deck on the flat rooftop where bedrolls are placed for guests to sleep under the countless stars on a Namibia tour. En-suite facilities house a sink, shower, and flush toilets. Situated within Namibia's Kulala Wilderness Reserve, Little Kulala offers a luxurious base from which to explore Sossusvlei and Dead Vlei. The lodge finds inspiration frin the desert, and the 11 thatched Kulalas each feature a private plunge pool and merge seamlessly into the desert. Situated in the Namib-Naukluft Park, the Sossus Dune Lodge accommodates guests in 25 spacious chalets. Each chalet includes a large en-suite bathroom with shower, sink, and flush toilet, snug twin beds, mosquito nets, solar powered lights, and fans. Enjoy the unobstructed views of the area through the floor-to-ceiling glass windows or spend time on the raised private deck. The central areas of the lodge are also on raised decking and include a lounge area, open air swimming pool with lounge chairs, open concept dining room. Stay here while on a Namibia tour. A historic farm house turned Safari Lodge, Gibb's Farm offers guests a true five star experience. Seventeen guest cottages, all with private verandahs, en suite facilities, fire places and incredible views, surround the main farm house where guests can enjoy a charming living room, 2 dining rooms, a large common terrace, and a gazebo in the gardens. Located just 15 minutes from the gate of the Ngorongoro Crater, Lemala Ngorongoro Camp is ideally located for travelers who want to explore Africa's Big 5 on a Tanzania safari. Ndutu Safari Lodge is located in the Ngorongoro Conservation Area in the Serengeti eco-system. It's 34 stone cottages are nestled under a canopy of giant acacias, have views of Lake Ndutu and are in a great spot to explore swamps, woodland, soda lakes and the Serengeti short grass plains. This traditional Tanzania safari tented camp will amaze travelers with not only its modern comforts, but ideal location on the rim of the Ngorongoro Crater! The camp blends seamlessly with its surroundings, and as there are no fences, local animals are welcome to come and go from camp as they please, day or night. Eco-sensitive in materials, and low impact in architectural style, the Rhino Lodge offers guest comfortable lodging on the rim of the Ngorongoro Crater. Twenty-four en suite rooms, each with private verandahs, are simply adorned to shift focus to the natural surroundings of the area. Watch as elephants, zebra, and other local animals wander through the grounds. Rhotia Valley Lodge, built with indigenous hardwood in a traditional African flair, boasts a roomy set up, individual and welcoming service and its finishing touches, such as comfy sofas around a fireplace, provide western comforts with true African warmth. Ngorongoro Serena Safari Lodge is on the rim of the Ngorongoro Crater and is built from local river stone and indigenous vines. It is designed to blend in with the surroundings and is almost perfectly hidden from the floor of the crater. The lodge has 75 total rooms and is linked by stone passages and timbered decks. Ngorongoro Sopa Lodge is located at the highest point on Ngorongoro crater's rim and offers traditionally circular African houses. It has 91 double rooms and 6 single rooms, central heating, wake up calls, complimentary coffee and tea and has beautiful views of the crater. Relax and soak in the natural beauty of the gardens and coffee-bush laden hills surrounding The Manor at Ngorongoro. The Manor's old world charm is balanced with new world hospitality, creating a comfortable, personable and intimate experience during your African adventure. Located just 20 minutes from the main gate of the The Ngorongoro Crater and 30 minutes from the Manyara airstrip, The Manor of Ngorongoro beautifully balances African hospitality with Afro-European decor and architecture. This small, family-run hotel is located along the north-west coast of Zanzibar Island. 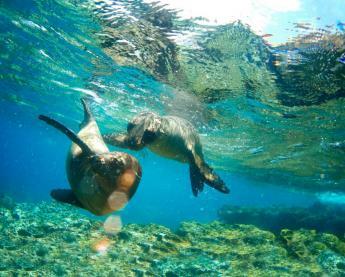 Flame Tree Cottages' coastline is ideal for swimming, snorkeling and diving activities. Shooting Star Lodge is located on Zanzibar's Northeast Coast, nestled amongst a tropical garden and overlooking the picturesque Indian Ocean. Spend a few days relaxing in luxury following your Tanzania safari. Experience barefoot luxury on a private island escape in the Seychelles. Your days are free and open to create your own adventure as you like, or lounge on the powdery white sand overlooking the turquoise ocean. Offering every possible amenity in understated simplicity and elegance, North Island will treat you to an island vacation all its own. Situated on a private concession in the magnificent Okavango Delta, Sandibe boasts exclusive traversing rights over a vast stretch of land adjacent to the wildlife-rich Moremi Game Reserve. &Beyond Xaranna Okavango Delta Camp, offers a beautiful Botswana safari experience and enjoys luxurious solitude on its own Delta island within a 672,125 acre exclusive wildlife concession. Located in the magical Okavango Delta, Abu Camp delights guests with its light, airy villas, close proximity to Africa's legendary wildlife, and lush surroundings. Found below ancient sycamore figs and overlooking a permanent lagoon of the Delta, Abu is the ultimate getaway for those seeking a Botswana tour. Located in the largest inland delta, Camp Okavango is in the midst of deep lagoons, large lakes and hidden channels. It offers 12 rooms which can accommodate 24 people and a variety of water based activities like canoeing, fishing and motorboat rides. The Gomoti Plains Camp is located on the edge of the Gomoti river system. It sits in an area known for it's large concentrations of wildlife. There are 10 tents at the camp which are split into family and double tents. During your stay you can go on game drives, eat under the stars and go on a safari in a canoe. The Gomoti Tented Camp, located in the Santawani Concession, has just five spacious walk-in canvas tents lending to the authentic, early explorer style. This completely Eco-friendly camp has no permanent structures, and each tent measures 20 x 11 feet. Inside you will find rich teak director chairs, bedside tables with 12-volt reading lamps, canvas and wood wardrobes, bathrobes, cozy beds and mirrors - each helping to ensure travelers will be comfortable while on their Botswana Adventure. Vumbura Plains Camp is located along the banks of Botswana's famed Okavango Delta, offering guests a premier safari experience from both land and water. This luxurious camp features two separate satellite facilities, each with their own unique and contemporary design. Zarafa Camp is renowned for its remarkable concentration of wildlife, predators in particular, and luxuriously-appointed, tented accommodation. The boutique camp has only four stylish canvas suites offering travelers an intimate taste of Botswana. The Surval Boutique Olive Estate is a working farm estate with accommodations in Oudtshoorn, South Africa. It has 23 rooms and suites, a bar, wedding and conference facilities, free WiFi, a minibar fridge and tea and coffee making facilities. Eight Meru-style canvas tents in the Palmwag Concession make up Desert Rhino Camp. Each African safari tent offers guests twin or double beds, mosquito nets, a comfortable reading chair, and writing table as well as en-suite facilities including a hand basin, flush toilet and shower. The large common areas include dining facilities, a lounge area, and bar. Manta Resort is located on Zanzibar's remote Pemba Island, just a quick flight form Stone Town but a world away. Spend your last days in Tanzania relaxing on the beach, snorkeling and experiencing the unique Underwater Room. Situated in a private reserve, Hog Hollow Country Lodge offers friendly, comfortable, and stylish lodging. Each of the sizable 16 suites provides guests with comfortable beds, modern amenities, music systems, wrap around porches with hammock chair, and a fireplace. Hunter's Country House is ideally situated between the coastal towns of Knysna and Plettenberg Bay along South Africa's celebrated Garden Route. This lodge is an ideal stopping point as you explore this beautiful, enchanting region of South Africa. With beautiful views of the Indian Ocean, the Radisson Blu Hotel is a scenic place to stay in Port Elizabeth. It is very close to Blue Flag beaches, shopping, golf and other entertainment. The hotel offers 173 rooms and suites and a variety of amenities to make your stay comfortable. On a hilltop with panoramic views of the Virunga Volcano Range, Lake Ruhondo, and Lake Bulera, sits the incredible Virunga Lodge. This lovely lodge reflects the local 'organic, bush- chic' design style, and is ideally located to track gorillas in the Parc National des Volcans. &Beyond Serengeti Under Canvas is a luxurious semi-permanent tented camp that moves around the Serengeti bringing guests within range of the massive herds of the Great Migration. Lemala Ewanjan Tented Camp is located in the heart of the Serengeti National Park's game-rich Seronera Valley. Each well-appointed tent features a private deck, running water and 24-hour solar lighting to ensure a comfortable stay. Serengeti Halisi Camp is a seasonal camp that tracks the Great Migration. This movement positions guests for the best game viewing possibilities. Enjoy the intimate and inviting atmosphere, good food, and friendly service while exploring the Serengeti on Africa safari. The Serengeti Serena Safari Lodge blends in with it's surroundings on a ridge overlooking the Serengeti. It offers 65 rooms and one suite and showcases cultural performance, heritage and traditional art. You can also see the members of the "Big Five" (elephant, rhino, lion, leopard and buffalo) and other animals such as wildebeest during your stay. Serengeti Sopa Lodge is located in the Nyarboro Hills of the Serengeti National Park. It overlooks the plains and allows you to experience the sights and sounds of the land and animals in the area. It offers 69 rooms, 4 suites, a pool, a restaurant and a bar. Touted as the "highest hotel in Africa", this lodge is located at 3300m along the Simien escarpement and is a main accommodation and base for trekking in the Simien Mountains. Tukul style huts, restaurant with inviting fire, and a bar all combine to create a comfortable stay for its guests after a hard day of hiking. Bilimungwe Bushcamp is situated near the banks of the Luangwa River overlooking three active waterholes in the remote southern region of South Luangwa National Park. This seasonal rustic safari camp is solar powered and offers only four guest chalets keeping the camp size small and the safari experience intimate. Enjoy spectacular wildlife viewing overlooking a river and active lagoon at this safari camp in South Luangwa National Park in Zambia. Only three stilted chalets are offered at this exclusive camp designed with understated elegance and tucked beneath the ebony trees that overlook the Luangwa River. Experience the thrill of sleeping out in remote South Luangwa National Park under canvas. These four canvas tents create a truly unique and stunning base overlooking the nearby lagoon from which to admire the wildlife in South Luangwa. Enjoy a safari in South Luangwa National Park with a stay at the intimate Kapamba Bushcamp. Located in a remote and prime location along the Kapamba River, this intimate safari camp combines superb wildlife viewing with upscale comfort from April through January. Visit South Luangwa National Park and stay in the safari camp Kuyenda Bushcamp. This charming yet rustic camp is located along the Manzi River and offers incredible wildlife viewing opportunities combined with that traditional African safari camp style. Stay just inside the main entrance to South Luangwa National Park in this award-winning Zambia safari camp. This comfortable camp is a great introduction to safari camps in South Luangwa Park. Thatched roof buildings surrounds two lagoons that attract a range of wildlife. Enjoy yoga, a dip in the pool, or spa services at this upscale safari camp. Experience Africa safari from a bygone era with a stay in this small and charming camp in the remote reaches of South Luangwa National Park. Tented chalets with private decks and plunge pools offer breathtaking views of the Kapamba River near an expansive plain with springs that attract huge populations of wildlife. The Cornerstone Guesthouse is a bed and breakfast in old town Swakopmund, Namibia. Each of the seven en-suite rooms offer travelers spacious and airy accommodations, with wood floors, light color schemes, and double or twin beds. Located just a few minutes drive from central Swakopmund, Desert Breeze Lodge is perched along the banks of the ephemeral Swakop River and offers breathtaking views of the dunes beyond. Each bungalow is spacious and comfortable, offering the perfect escape during your African safari. Retaining its 100-year old charm, Hansa Hotel offers travelers modern service and comfort in the center of Swakopmund, Namibia. Centrally located the Hansa Hotel is perfect for the discerning traveler looking for an adrenaline filled holiday, or merely a bit of relaxation on a Namibia tour. The Royal Swazi Spa Valley is made up of two different hotels: the Royal Swazi Spa hotel and the Lugugo Sun hotel. Both are located in the Ezulwini Valley in Swaziland and together they offer 352 rooms. They are only a minute apart and share the golf course, casino, conference rooms, restaurants and bars. Enjoy an aromatic and sensory experience at the luxurious Arusha Coffee Lodge. Hidden amongst one of Tanzania’s largest coffee plantations, the Arusha Coffee Lodge is the perfect place to begin or end an African safari or Mount Kilimanjaro climb as well as explore how coffee is processed from the bean to your coffee mug. The lodge is located in the city of Arusha, which lies in the northern highlands of Tanzania, beneath the twin peaks of Mount Meru and Mount Kilimanjaro. From coffee pickers harvesting the crop to the delightful smells of the morning brew diffusing from the main Plantation House as breakfast is being prepared, Arusha Coffee Lodge is full of sensory experiences that revitalizes the body and soul for the adventures and excitement that lies ahead. Ideally located in Northern Tanzania, in the Sinya Private Concession, sits the small tented camp Kambi Ya Tembo. Fourteen tents, all with private en suite facilities, surround a main lodge. Watch traditional Maasai dancers, spot some of the largest tusked elephants in all of Africa, and rest easy while you enjoy your stay at Kambi Ya Tembo. Kudu Lodge serves as a cross roads between three Tanzanian treasures: Lake Manyara National Park, Serengeti National Park, and the Ngorongoro Crater. Set on 11 acres of farmland, and surrounded by lush gardens, each free standing bungalow is comprised of en suite bathrooms, private verandas, and mosquito netting above every bed. Ideally located on a bluff just ten Km from the Tarangire National Park gate, the Tarangire Safari Lodge offers incredible views of the Tarangire River and the surrounding park. As the first lodge in the park, it offers guests an unparalleled location, incredible animal encounters year round, and comfortable accommodations. Located in the Tarangire National Park, the Tarangire Sopa Lodge blends into it's surroundings and is hidden among kopjes, ancients baobab and grass. It offers 75 rooms, a coffee shop and a lounge and bar where you can relax and enjoy a game of pool. Childhood dreams turn to reality when you arrive to Tarangire Treetops Lodge and see tents perched above the game rich lands of Tarangire National Park, tucked into the canopy. 20 tree-houses offer expansive space and uninterrupted views of Tarangire plains from a private balcony. Enjoy your private en suite bathroom, with double showers, wrap up in a luxurious bathrobe and enjoy the view from your lofted vantage point. The Motse, lies at the foot of the Korannaberg mountains facing westwards across the grasslands of the Kalahari. Motse means “village” in Tswana, and our village consists of just nine spacious and secluded “legae” (Tswana for “little house”). Buska Lodge offers guests the rare opportunity to explore the far south areas of the Omo Valley region in Ethiopia while still returning to relative comfort. The 22 rooms offer private bath facilities, terraces and two restaurants serving European and local cuisine. Enjoy the eight beautifully appointed, spacious bandas that make up the Kyambura Gorge Lodge in Uganda on your African Safari. On the edge of Queen Elizabeth National Park, the lodge offers stunning views of the gorge, the savannah, and the Rwenzori Mountains in the distance. Tucked away in the foothills of the Virunga Volcanoes, on the boarder of Uganda, Rwanda, and the DRC lies Mount Gahinga Lodge. The lodge consists of 9 traditional pygmy style huts, with modern conveniences. Take in the views of Mounts Sabinyo, Gahinga, and Muhuvura from this eco-conscious lodge while you enjoy an Africa safari experience. Set amidst the Bunyaruguru Crater Lake region of western Uganda, on 1000 acres of privately owned farmland, you find the Ndali Lodge. Eight luxurious, west facing cottages house up to 16 guests on the rim of an extinct volcano, overlooking breathtaking Lake Nyinambuga, making it an ideal location to stay while gorilla tracking on your African Safari. Standing majestically on Umhlanga’s beachfront overlooking the Indian Ocean and the iconic lighthouse, The Oyster Box, a Member of Red Carnation Hotel Collection, is the ultimate in colonial charm and style. Enjoy views of the spray from Victoria Falls from the suite balcony at Ilala Lodge. Offering 56 rooms, choose from 5 different room styles and enjoy the proximity to the falls and many activities available in Victoria Falls Town. The Stimela Star is a private, colonial-era sleeper train that travels from Victoria Falls to Hwange National Park. Evoke the glory days of train travel as you spend one night traveling toward Hwange National park on this refurbished yet authentic rail car. The Elephant Camp provides a luxurious experience while visiting the famous Victoria Falls. Situated by the Masuwe River and the Zambezi gorges, The Elephant Camp offers spectacular views of the Victoria Falls’ spray. The Elephant Camp is a luxury and intimate canvas lodge that accommodates up to 24 guests in luxury suites. Victoria Falls Safari Lodge house 72 beautifully appoint rooms, each with views of the Africa bush. Dine in either of the the two on-site restaurants, relax pool side, or enjoy a drink over looking the nearby watering hole. Experience the luxury for your self on an African Safari including a trip to Victoria Falls. Onguma Tree Top Camp is a small and intimate camp built on wooden stilts in the tree tops. It sits next to waterhole on the Onguma Game Reserve and consists of 4 thatched rooms, a dining room and a main complex making it the ideal place for a small group to get away and experience Africa up close. Experience a wealth of wildlife viewing opportunities on your Zimbabwe safari with a stay at Zambezi Sands situated inside Zambezi National Park. Relax in a private splash pool on your deck overlooking the landscape of the Zambezi River and her wildlife. Situated in Pongwe on the east coast of Zanzibar, Seasons Lodge is just under one hour’s drive from the airport and from Stone Town. In the heart of Stone Town, the Dhow Palace serves as a meeting point for people and cultures from all over the world amidst a decor and artifacts from a time gone by. Zanzibar Coffee House Hotel is located in the hearth of Zanzibar Island's historic Stone Town. Explore the fusion of African, Arabic and Indian cultures before returning to your luxury Arabic style hotel in the evening. This privately owned Africa safari lodge is ideally situated in the heart of the Zulu Kingdom and offers guest a prime location to explore the Elephant Coast, Lake Jozini, and the iSimangaliso Wetland Park. Enjoy rooms with traditional African style and full western amenities.